It’s a well-known joke how dense, obfuscating and ignored the terms and conditions can be for any software or service. We’ve become accustomed to hitting “agree” and moving on with our lives, usually thinking nothing of it. Perhaps no set of terms and conditions is subject to this more so than Apple’s. For such reasons, cartoonist Robert Sikoryak — known for his work in the “The New Yorker” and with “The Daily Show” — decided to use this ubiquitous, but hardly-read text as the actual words in one of his latest projects. Sikoryak paired the text verbatim from a previous version of iTunes’ terms and conditions with over 90 renditions of the most famous comics panels and art-styles throughout the history of comics. All to make his graphic novel “Terms and Conditions,” what he calls his “unauthorized adaptation” of the agreement. 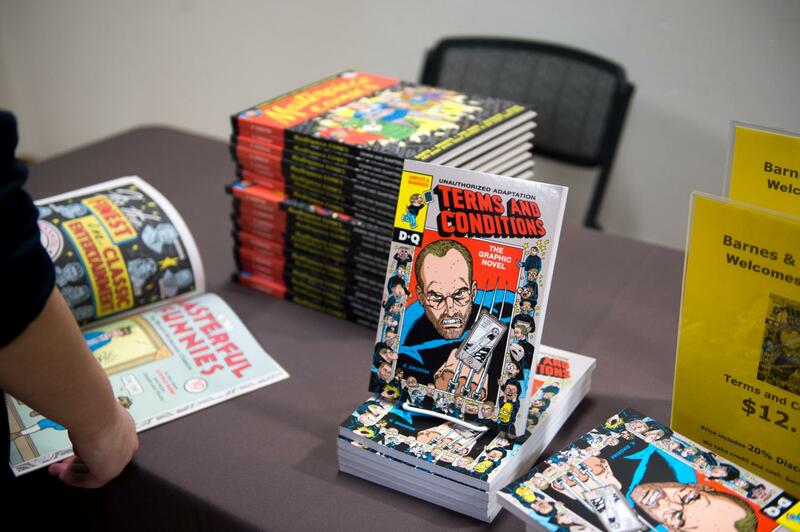 Just last month, Sikoryak came to RIT as part of the new Comics Studies Lecture Series started by the School of Individualized Study (SOIS) to talk about the project and the medium of comics as a whole. The idea of letting pre-existing text determine the length of a comic, was something that Sikoryak had played around with in his previous project "Masterpiece Comics," where he visualized classic literature. Wanting to continue that pursuit, he searched for more possible pre-existing texts to make into a graphic novel. Sikoryak deliberately adapted the text in its entirety; while many might know of some its highlights, essentially no one, he pointed out, reads the entire document. What also made iTunes’ terms and conditions so appealing to Sikoryak, was that it was a text that no one had any preconceived notions of; no one had imagined how it should be adapted, especially compared to a classic novel or comic people might have an emotional attachment to. The prospect of adapting this particular document interested Sikoryak in part because it didn't lend itself to illustration. After all, there are no narrative or characters to portray. Accordingly, much of the story within his adaptation is derived from what he elected to pair the text with: re-drawings of several famous comic panels and pages. “I was really trying to sort of create a history of comics,” explained Sikoryak of the works he selected. Within the pages of his adaptation he gives nods to comics from 1905 all the way to contemporary graphic novels, superheroes to Sunday Comic strips and to European properties as well as various Manga. “Which was very liberating because I could kind of defer to the sources,” said Sikoryak, noting how the literal progression of events on each page is facilitated by the dynamics and drama of what he’s referencing. Although, with so many different visual styles — and a narrative-less text — he still felt like he needed some “glue” to hold the book together. “I’m so grateful that I thought of using the Apple Terms and Conditions, because of all the CEOs of corporate giants only Apple had a person who really thought about the costume,” pointed out Sikoryak. For such reasons Sikoryak substituted in Jobs into every page as the protagonist – glasses, beard, black turtleneck and all. He noted how inherent to comics the idea of a costume is, specifically pointing to how the yellow and black zig zag shirt is all you need to know it’s Charlie Brown. Sikoryak jested about the careful legal distinction he has to make when saying exactly who is on the page. “It’s not Snoopy — it’s a dog who looks like Snoopy (who also looks like Steve Jobs),” said Sikoryak. “'It’s Snoopy as Steve Jobs though,” he added. 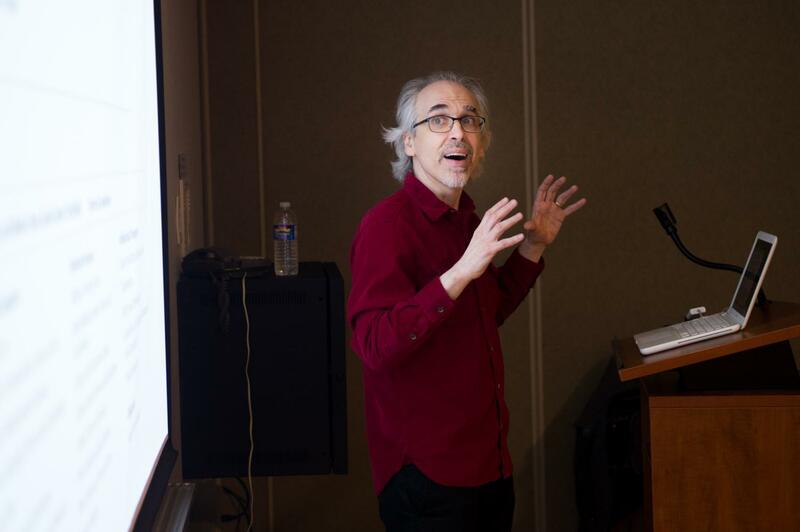 Sikoryak’s visit to RIT was a part of the new Comics Studies Lecture Series started by SOIS. “The reason that the School of Individualized Study started the series is to really begin to showcase the way that comics as a medium speak to a lot of different interests around RIT’s campus,” explained Professor Daniel Worden of SOIS and founder of the series. He noted that comics as a craft and medium have something that’s relevant to illustration, design, liberal arts and many more programs here at RIT. “There a lot of resources that already exist at RIT around comics, but we wanted to do something that would maybe consolidate and unify those interests in a coherent way for the RIT community,” Worden said. Speakers that are brought in for the Lecture Series are encouraged to do workshops with students.  This provides those striving to make comics the chance to experience firsthand the creative processes of those actually in the comics industry. “They can actually see how these things are made,” pointed out Worden. To him, having such experiences is especially important for those who wish to be involved in comics professionally. Comics can be quite different then huge collaborative endeavors like a Hollywood film, that maybe don't have one singular voice. Providing students access to creative minds like Sikoryak allows them to explore what’s possible with comics, including the medium’s potential as a means for students to deliver their ideas to the public. Accordingly, planning is already under way for next school year's Lecture Series, to continue granting students fascinated by the prospect of working in comics such experiences. Why Not Consider a Virtual Internship?